Beggars All: Reformation And Apologetics: Catholic Answers Asks: Reformers or Revolutionaries? Catholic Answers Asks: Reformers or Revolutionaries? As we draw nearer to the anniversary landmark of the Reformation, cyber-space is a flutter. The Catholic News Herald in North Carolina posted recently, "Luther’s concern was the gospel of the glory of God’s grace. While he was a reform-minded person, it was not his intention to become the founder of a separate Reform church. His goal was the renewal of the Catholic Church from the perspective of the Gospel." On the other hand, the North American Magisterium, Catholic Answers, has published a brief article entitled, Reformers or Revolutionaries? by Steve Weidenkopf. Once again, yet another article states its purpose is to give "the real story." It's not hard to guess that Catholic Answers still holds the old Roman Catholic view of Luther and will deem him a revolutionary by the end of the article. Luther’s extremely negative image of God, which may have reflected that of his abusive father, influenced his theology and his conflicts with authority. To Luther, God was not a loving father, as revealed by Christ, but rather a tyrannical and wrathful judge who delights in tormenting sinners. I've written previously about this mythology. Why use the word mythology? The sparse bits of information about Luther's childhood fueling such claims stem from, if not almost entirely, the Table Talk. A few strands of second-hand comments have blossomed into ridiculous studies, like Erik Erikson's Young Man Luther. Further, the conclusion that Luther's image of God proper (and Jesus Christ) was that of an angry judge, because of Luther's parents is erroneous based on actual historical information. Throughout his explicit writings, Luther did not blame his parents for his early understanding of God, but rather the medieval church. He said the culture he lived in viewed God as an angry judge, and the way to appease the angry judge was through the Virgin Mary and the saints. Luther’s revolutionary writings led to outbreaks of violence throughout Germany. By 1525, mobs had destroyed churches, burned sacred art, and profaned the Eucharist. Nobles sympathetic to Luther’s teachings appealed to him for help ending the violence. In response, Luther wrote a pamphlet titled Against the Murderous, Thieving Hordes of Peasants, in which he called on the nobility to suppress the rebellion with all necessary violence, which they did with ferocious efficiency, killing 130,000 peasants. I would never argue Luther's early writings were insignificant, but the author here is engaging in post hoc erog propter hoc thinking. The peasants had been in active revolt even previous to Luther. The book the author refers to, Against the Murderous, Thieving Hordes of Peasants was actually published after the peasants war began. The treatise was delayed and did not have an immediate role during the war. The German nobility were not spurred on by Luther's words. They were spurred on by the peasants who strove towards anarchy and civil unrest. Ignored are the countless statements from Luther's pen on the beauty and importance of marriage. Rather, one particular situation (with political ramifications) that Luther was involved with, one which he not soon thereafter regretted, becomes his standard operating procedure for marriage. And what Luther hit-piece would be complete without including Luther's views of the Jews? "Luther wrote On the Jews and Their Lies, a treatise in which he put forth an eight-point plan to rid Germany of its Jews." There's anachronism at play here. The author leaves out that in reality, the story of Luther's negativity towards the Jews is really to tell the story of medieval Christianity and medieval society's negativity towards the Jews. E.G. Schwiebert, Luther and His Times (St. Louis: Concordia, 1950), p. 8. 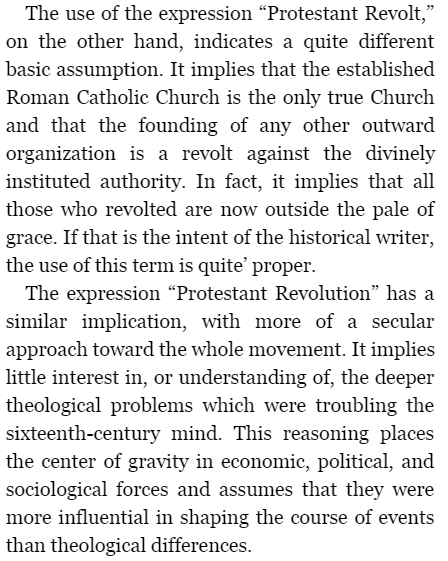 For a fascinating treatment of this switching of terms, see Reformation or Revolt or Revolution by Dr. Paul Peters (of whose article I'm indebted for referring me to Schweibert). Peters explains how complicated this subject actually is. I recommend a careful reading of this old article as there's a lot to chew on. I found the section "But Luther Answers his Roman Catholic Critics" well-constructed. 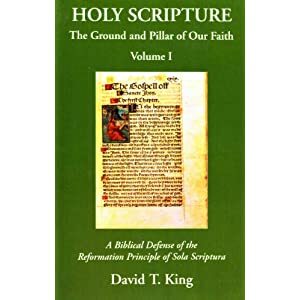 Dr. Peters presents an overview from many of Luther's writings as to how Luther himself would respond to those who said he had caused a revolt.